The museum is using QR Codes throughout the museum to present guests who speak a foreign language information of the various galleries and exhibits in their own language. We hope you enjoy your time in the museum. 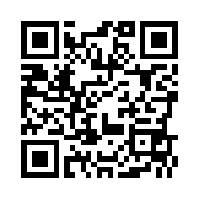 Click here for information on how to install a QR Code reader on your mobile device. Klicken Sie hier für Informationen, wie man einen QR-Code-Reader auf Ihrem mobilen Gerät installieren. Cliquez ici pour plus d’informations sur la façon d’installer un lecteur de code QR sur votre appareil mobile. Clicca qui per informazioni su come installare un lettore di QR Code sul tuo dispositivo mobile. Kliknij tutaj, aby uzyskać informacje o tym, jak zainstalować czytnik QR Code na urządzeniu mobilnym. Klik hier voor informatie over hoe je een QR Code reader installeren op uw mobiele apparaat. अपने मोबाइल डिवाइस पर एक QR कोड पाठक को स्थापित करने के तरीके के बारे में जानकारी के लिए यहां क्लिक करें.